During pupillage at 3PB, Tom received comprehensive training in clinical negligence and personal injury under the guidance of Hamish Dunlop. He now enjoys an ever-growing practice in both PI and clinical negligence. Tom has a particular strength in advocacy and is instructed in a range of court hearings including county court trials, civil application hearings and case management. He acts for claimants and defendants across the spectrum of personal injury litigation. Tom has a particular specialism in claims involving allegations of fraud. In the criminal jurisdiction he has had conduct of complex cases including the prosecution of a multi-handed allegation of cheating the public revenue where it was alleged the defendants had committed a £3.2 million fraud over 10 years. Tom is able to apply the rigorous scrutiny required in such cases to allegations of fraud within the civil jurisdiction. 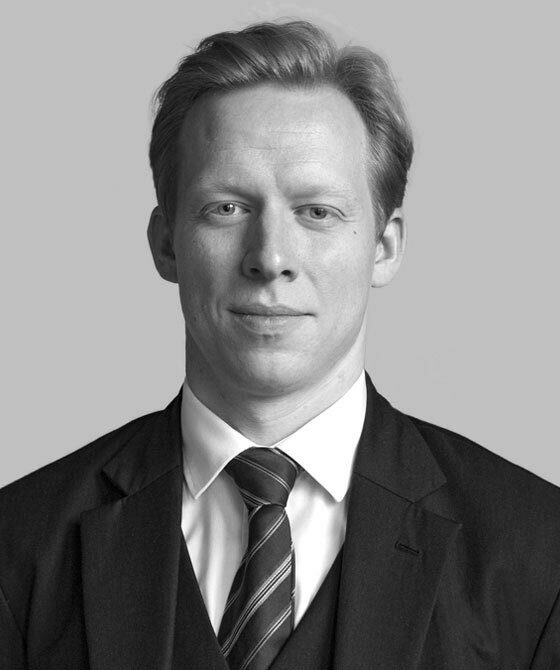 Tom is regularly instructed to advise on liability and quantum and to settle pleadings where necessary. Where appropriate, he will accept instructions under a CFA agreement. In addition to his own developing practice, Tom has worked closely with one of the largest ATE insurers in the UK, assessing the merits of a multitude of cases concerning areas such as clinical negligence, breach of confidence, asbestosis, occupiers’ liability and accidents at work. M v S and Others: multi-party dispute consisting of substantial credit hire claim. Claim in excess of £25k. W v H: Claimant suffered a fractured right leg which on balance would lead to post-traumatic osteoarthritis. Claim in excess of £25k. H v R: Physical and psychological injuries prevented the Claimant from continuing a promising swimming career. Claim in excess of £15k. Z v P: Chronic pain associated with accident related Post-Traumatic Stress Disorder. Claim in excess of £50k. W v D: Claim involving allegation of LVI. Claimant found to have been dishonest but not fundamentally dishonest and therefore QOCS protection was retained. K v K & Another: Allegations of fraudulent inception of insurance policy. Case linked to multiple separate claims. Significant credit hire element. D v R A W Ltd: Claimant suffered significant injuries after falling through an obscured skylight. F v ACS: Claimant injured while installing solar panelling. B v A: Claimant sustained a compound fracture to his little finger when a 21kg pump fell onto his right hand. B v Capita PLC & Another: Claimant injured when slipping on black ice. M v TPI: Claim against a public house which had left a trap door open resulting in a member of the public falling. F v TBC: Claimant suffered a fractured wrist after falling on an overly polished dance floor. K v L: Claimant suffered a significant back injury after slipping in a pool of water positioned at the top of a set of stairs while on holiday in Morocco. E v K: Claimant injured after being kicked by the Defendant’s horse.